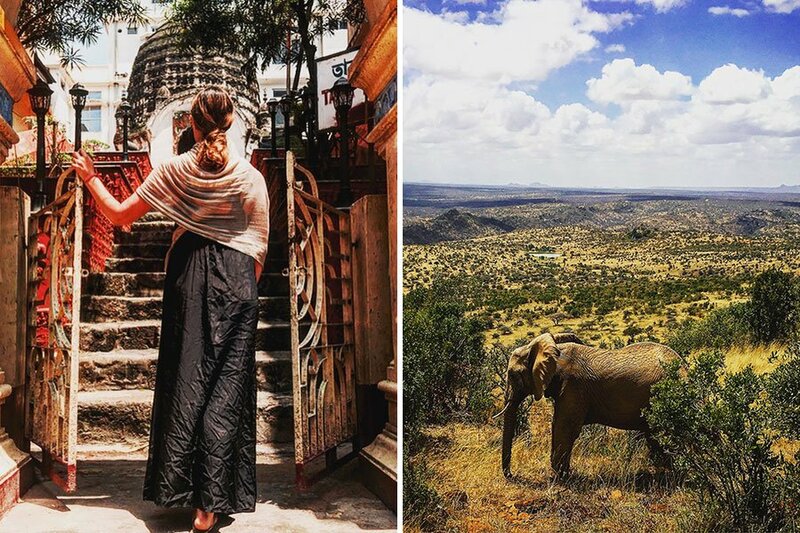 Jo in India, and a picturesque ellie in Kenya. All photos by Jo Piazza. Globetrotters with a long list of places they've been usually have an even longer list of places they want to go. We asked writer Jo Piazza, whose travel memoir, , we just excerpted, for her must-go and must-go-back list. My family wasn't a traveling family. Growing up in the suburbs of Philadelphia, we would often go to the Jersey Shore or skiing in the Pocono mountains. We had a handful of vacations in the United States — Orlando, Cape Cod, Colorado — but I didn't get my first passport until I went to college. Since then I've gone through about five of them. Travel and journalism go hand in hand for me. I can't go to a place, even for a vacation, and not report and write. It's how I get to know and absorb a culture. A few years ago, I was approached to help launch a new kind of travel website, a place where real people could tell their real travel stories. Yahoo Travel was born shortly thereafter. If someone had told me honestly at that first job interview, "Hey, you are going to spend the next two years traveling to more than 30 countries. You'll meet your husband. You'll write a book. You'll have adventures beyond your wildest dreams. But then we are going to lay you off via a text message while you climb Mt. Kilimanjaro," I still would have said yes. I really did meet my husband. I really did . And now I'm figuring out where our travels will take us next. 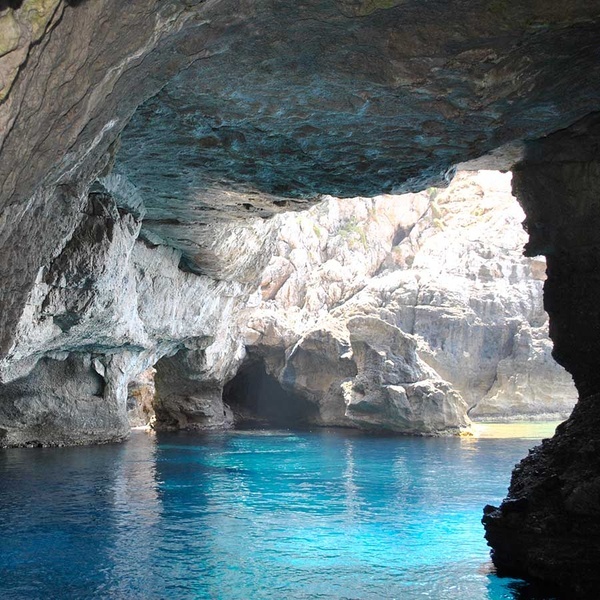 A water cave in Sicily. It's home to some of the best scuba diving in the world right now, and their souks rival Istanbul's Grand Bazaar. It's about to blow up as a major travel destination, and I want to get there before the crowds. has been on my bucket list for the past few years. It's a gonzo horse race on Mongolian horses following Ghengis Khan's original postal route. It is challenging and terrifying — and something I have to do before I die. With climate weirdness reaching a peak and climate weirdness deniers now in charge of the world, I think we need to spend as much time with the polar bears as we possibly can before their ice begins to float out to sea and they decide they are going to invade Manhattan. They will likely begin to lose their charm when they get angry. 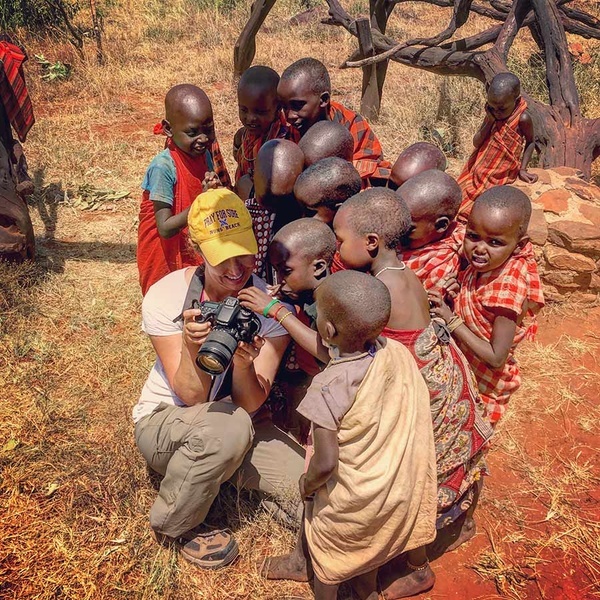 Jo shares photos with children in Kenya. My dad's family is from here. He passed away over the holidays, and we want to go there in the fall to celebrate how much he loved it. This will be the first time we take our new baby out of the US. We're renting a house in the country and hanging out for three weeks to decompress as a new family. Sicily is pretty much one of my favorite places in the world. Unlike most of Europe, there are still wild and beautiful pockets that are completely untouched by tourists, restaurants with no menu, and beaches with no visitors. The privately owned family ranch and game sanctuary is one of the hidden gems of northern Kenya. The younger generation of owners, Andrew and Chyulu, have become friends, and my husband and I want to go back to spend at least a few weeks exploring the parts of northern Kenya we didn't get to see last time we visited. This is one of the few safaris where you can get out and ride on horseback, hike through the bush, ride a camel, and really camp (and not glamp) among the animals. They offer real adventure in a country that is sanitizing many of their offerings for tourists. I spent about three weeks in India researching and only saw a sliver of the country. It went so fast I feel like I spent a weekend there instead of nearly a month. In , Jo Piazza interviewed women around the world to try to solve the mystery of what makes marriage work. Нашел в интернете классный веб портал , он рассказывает про http://progressive.ua.